Every vehicle that moves on Malaysian road would be required to pay road tax. This is where you will find a special car sticker on the windscreen of every vehicle which is determined by the engine capacity. It has been reported that Malaysia has one of the lowest rates when it comes to road tax. 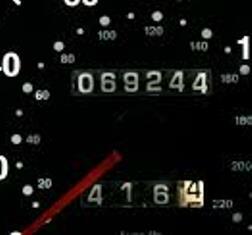 This is determined by the segment of the car it is in. 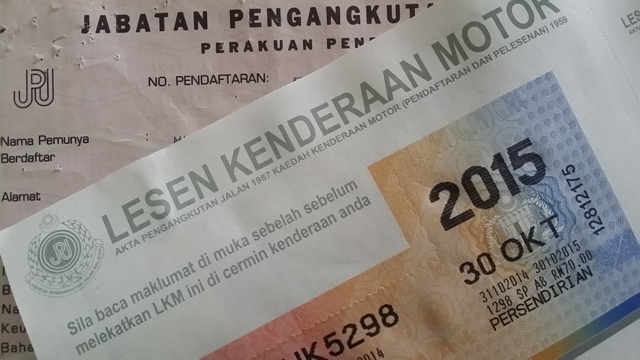 Road tax in Malaysia is issued by the Jabatan Pengangkutan Malaysia or Road Transport Department. This is required if you are buying a new car. However, if you are renewing your road tax which happens yearly, you can do so through the post office nationwide. Cars are first classified between below and above 1.6 liters. Below 1.6L – The annual road tax amount for cars below this engine capacity is fixed. It is subject to between RM20 and RM90 which is set by JPJ. Above 1.6L – Cars that are above 1.6L or 1,600cc will be charged to a maximum of RM200 per vehicle. Using the same formula, if the engine capacity is 1599 cc, it would be fixed that the road tax is RM90 per year. On the other hand, if the car is just 1 cc above 1600 (which is 1600cc), then the annual road tax would be RM200.40. This is quite a significant increase as compared to the car which is only 2cc below (RM110.40). Cars in Malaysia are divided into various segments with A and B being the most common. It must be noted that, both segments might have cars in different capacities but they are mostly identified via their sizes and other features. A-Segment – This refers to car which are in the supermini category. The range of engine in A-Segment is 1.0 to 1.2 liters. In most cases, A-segment cars are known to be very small in size and the Perodua Kancil is one of the most popular brands in this segment. Besides that, the Perodua Kelisa is in this segment too. Other known models include the more recent Perodua Viva while Proton’s Savvy is the national carmakers model in this market. B-Segment – This segment forms the largest group of cars in Malaysia. They range between 1.3 and 1.8 liters. The demand for cars in this segment is the highest and that is where you will find models like Proton Saga, Perodua Myvi which is the best selling models for many years and Toyota Vios which are all between 13 and 1.5 liters. Meanwhile, there are the ones in the higher engine capacities like 1.6 which involves Nissan Latio and Proton Perdana while many others are in the 1.8 liter bracket. PreviousHow to apply car loan to buy a car?